With the 20% bonus that’s 2.29 cents per mile. With the 35% bonus that’s 2.037 cents per mile and with the 50% bonus it’s 1.83 cents per mile. Ben of One Mile At A Time values Alaska miles at 1.6 cents each while Brian, The Points Guy, values them at 2 cents apiece. That could make it worth your while to buy points, especially if you already have a use for them in mind. What if you don’t live anywhere near Alaska? Not to worry, they have lots of partner airlines, despite not being part of a global alliance. Domestically they team with both Delta and American. Internationally you can use Alaska miles on AeroMexico, Air France, British Airways, Cathay Pacific, Emirates, Fiji Airways, Hainan Airlines, Icelandair, KLM, Korean Air, LAN and Qantas. Note that purchases are processed by Points.com and as such do not count as airline spend for your credit cards. There is also a 7.5% Federal Excise Tax and GST/HST for Canadian residents. So if you want to be like Jennifer Anniston and fly the first class with the bling and take a shower on board, you can use Alaska miles on Emirates to do just that! 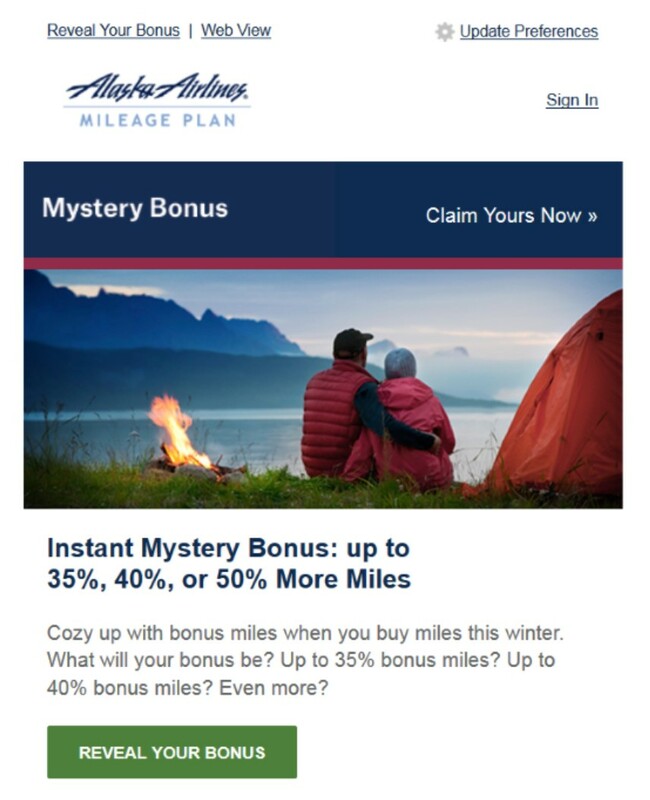 From now through August 9th, you can earn a 20%-35% bonus when you purchase (or gift) Alaska Airlines Mileage Plan miles. Miles must be purchased in 1,000 point increments with a minimum purchase of 10,000 miles and a maximum of 40,000 miles. Each 1,000 miles costs $27.50 and there is a 7.5% Federal Excise Tax charged per order. If you are Canadian resident GST/HST will also be added. Getting the 20% bonus means your miles will cost 2.29 cents each (plus the taxes). The 30% bonus brings the price down to 2.11 cents per mile ant the 35% bonus is the best value as it lowers the price to 1.78 cents per mile. My go-to guys for point valuations are Ben of One Mile At A Time and Brian, The Points Guy. Ben values Alaska miles at 1.6 cents each while Brian values them at 2 cents each. That’s a pretty big discrepancy but means that, depending on your needs, buying with a 35% bonus could be a good deal indeed. But I Don’t Live Anywhere Near Alaska! You might think you have no use for Alaska Airlines miles and maybe you’re right…but maybe you’re not. 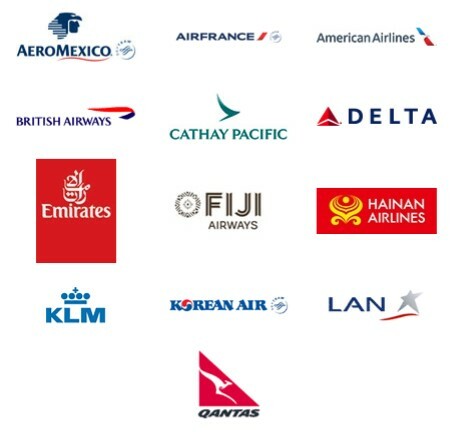 Alaska Airlines is not in one of the three major alliances but they have a number of airline partners that are in oneworld, SkyTeam or are other independent airlines. This makes Alaska miles very valuable. Want to fly Emirates Airlines in First Class and take a shower in the sky? You could transfer Membership Rewards points to Emirates’ own Skywards program. It would take 155,000 miles plus large fuel surcharges to fly from Dubai to Los Angeles. By contrast it only takes 90,000 Alaska Airlines miles – and no fuel surcharges – for the same seat thanks to their partnership! Domestically, Alaska miles can be used for flights on both American and Delta (and vice-versa). That’s great news for those of us in parts of the country that Alaska doesn’t serve directly. As always, this is only a good deal if you need the miles. The best deal is buying 40,000 miles and getting a 35% bonus but if you need to top off your account to round out an award, it can still be a good deal. Miles purchased through this promotion are processed by Points.com and as such do not qualify as airline spending if you have credit card with that category bonus.